Fred Astaire was one of the most famous movie-musical dance stars of the 20th century. His remarkable ease of movement, innovative filming techniques and legendary partnership with Ginger Rogers had a lasting impact on dance in motion pictures. Astaire was born in Omaha, Nebraska, in 1899. As a child he learned ballet, tap and ballroom dance from his older sister, Adele. Their mother took them to New York in 1904 to perform as a vaudeville duet, and their comedic dance act was a hit. In 1917, they left vaudeville to debut on Broadway in the revue Over the Top. But after 15 successful years as a duo on Broadway, Adele retired from performing. Without her, Astaire quickly became dissatisfied with stage life and, in 1933, headed to Hollywood. Though he didn't look like a leading man, film executives were won over by his charming personality and phenomenal dance skills. His film debut took place in Dancing Lady with Joan Crawford and Clark Gable. It was his next film, Flying Down to Rio, that introduced audiences to the legendary partnership that became known as “Fred and Ginger." In only 90 seconds on screen, the chemistry between the two as dance partners was undeniable. Ginger Rogers had the perfect glamour and comic appeal to match Astaire's debonair charisma.They went on to star in 10 films together. Over his 35-year film career, Astaire performed in 31 movie musicals. He changed the way dance was filmed, insisting the focus be on the dance steps themselves, using a stationary camera shot—rather than the then-popular technique of frequent cuts and a constantly roving camera. His final film, Un Taxi Mauve, came out in 1977, and he died in 1987 at age 88. Top Hat (1935) Astaire debuted his signature top-hat-and-tails look in this 1935 hit. His duet with Rogers, “Cheek to Cheek," mixed side-by-side tap dancing with intimate moments of twirling in each other's arms. Swing Time (1936) A memorable scene shows Astaire paying homage to legendary hoofer Bill “Bojangles" Robinson, tap dancing in and out of sync with three shadows of himself on a wall. 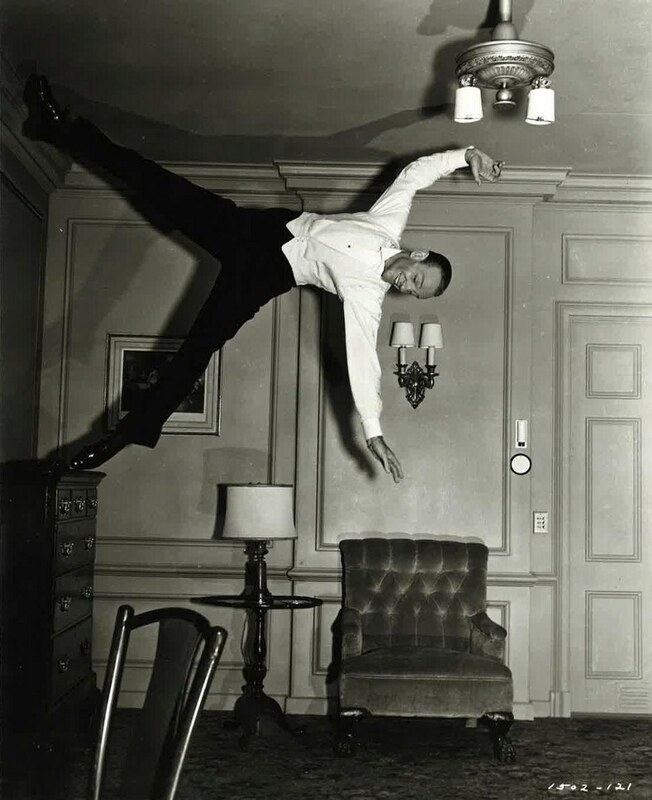 Royal Wedding (1951) In one of Astaire's most iconic routines, he danced on the walls and ceiling of a hotel room. The sequence was shot with the furniture fixed to the floor as the room revolved. Although Fred ended up becoming more famous than his sister, when he partnered Adele, he was considered the less talented of the two. To challenge himself, Astaire chose unusual settings to dance in, like a roller-skating rink (Shall We Dance, 1937) or a rocking ship deck (Royal Wedding, 1951). Astaire had a fluid style that melded tap, ballroom and ballet. 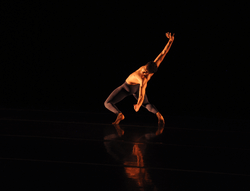 He was inspired by rhythm tap dancers like John Bubbles and developed a fondness for uneven rhythms. Full-bodied and highly complex, his dancing always looked easy. In his movies, Astaire had significant control over how his dancing was filmed, insisting that dance sequences be filmed in their entirety with stationary cameras. He had the camera frame his entire body tightly so the audience could see every step clearly. Astaire inspired many dancers and choreographers, several of whom paid tribute to him in their work. Jerome Robbins, for example, included film footage of Astaire and Rita Hayworth in his 1983 New York City Ballet piece I'm Old Fashioned. Rudolf Nureyev, Merce Cunningham and Mikhail Baryshnikov all referred to Astaire as a genius. Today, aspiring ballroom dancers can take class at any one of the many Fred Astaire Dance Studios. Co-founded by Astaire in 1947, the franchise now has more than 150 studios worldwide.